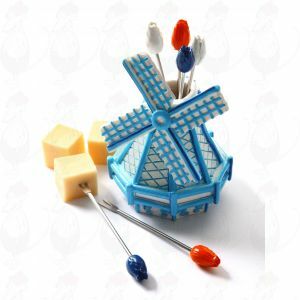 We also offer delicious cheese cubes or cheese dots of Gouda cheese. 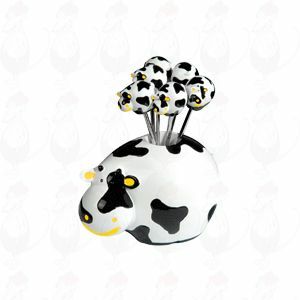 You have something to celebrate or you want something typically Dutch? 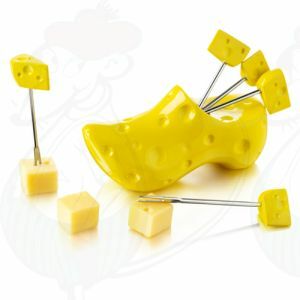 Then cheese cubes or cheese dots is the way to do this. 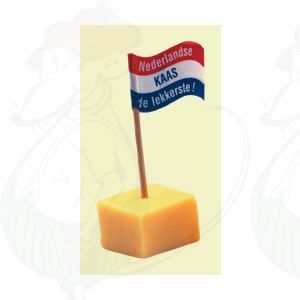 Do you want everyone to experience the taste of real Dutch cheese? 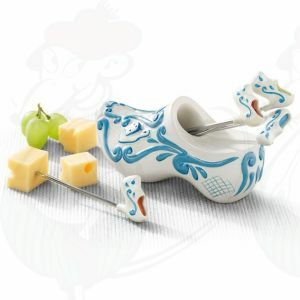 Or do you like to enjoy a cube of cheese from time to time with a good glass of wine or a nice beer? Then cheese cubes are very suitable for you. The cheese cubes of real Dutch cheeses are available in various packages with different quantities. Both young, mature and old cheese are available in the form of cheese cubes and with this you can easily enjoy the cheese whenever you like. The advantage of the cheese cubes is that they are cut into a snack size. 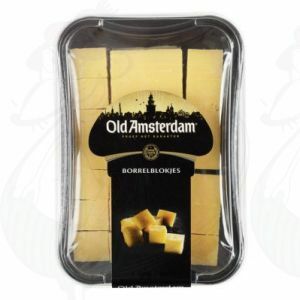 This makes the cheese cubes a very suitable bite during a party. Surprise your guests with real Dutch cheese and let them be amazed by the authentic and characteristic flavours from Holland. 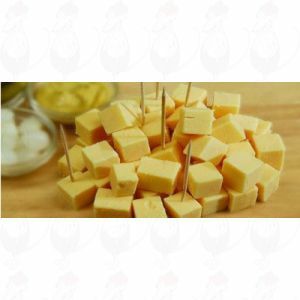 When you serve cheese cubes to your guests, you can serve a little mustard with them, so that your guests can dip the cheese cubes in the mustard as they desire. According to Dutch traditions, you can also serve the cheese on a stick, in combination with, grapes, cherry tomatoes, a slice of sausage or, a date. 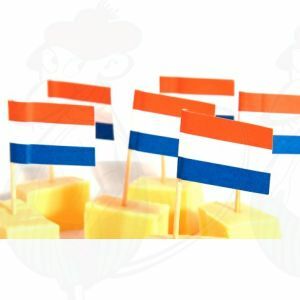 The cheese can be festively decorated with a little Dutch flag.